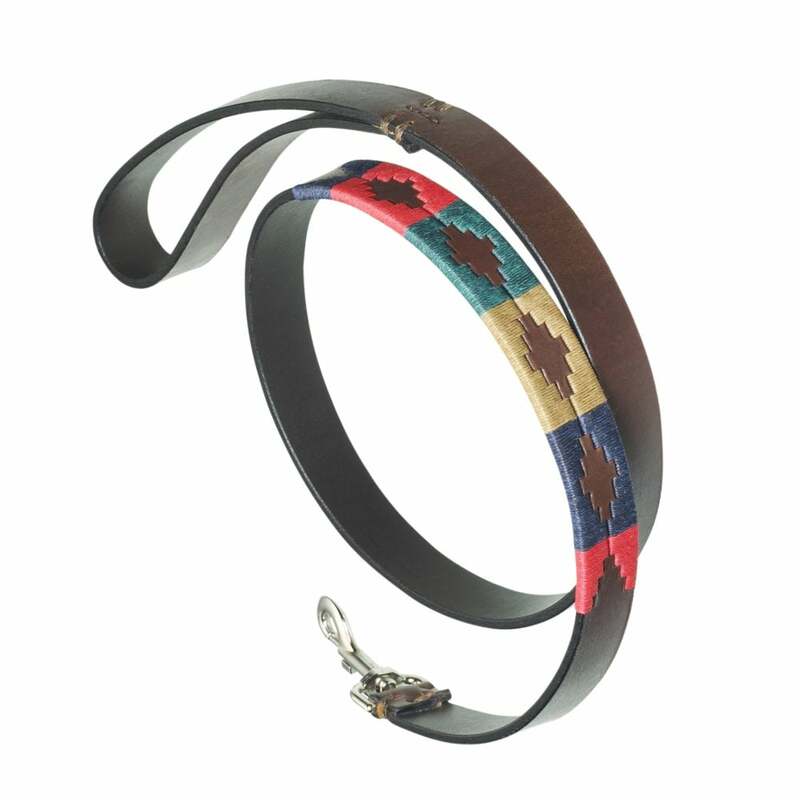 The Pampeano Navidad Dog Lead features a stunning, eye-catching pampa design in red, gold, green and navy to match the Navidad Dog Collar. This pampa pattern has been hand-stitched into the leather using the same artisanal skills that go into creating the iconic Pampeano polo belts, which take up to five hours to hand-weave. The same leather is also used; premium, vegetable tanned A-grade Argentine leather that craftsmen handpick from the local tanneries in Argentina. The leather is thick and strong, perfect for those dogs that like to pull, so you can have peace of mind on the safety and security of your dog. The chrome hardware and topstitching is also strong and tough, creating a product that has been made to last.